Read the full story of Zyuganov’s speech – the first criticism of Deripaska by the Communists in twenty years – here. 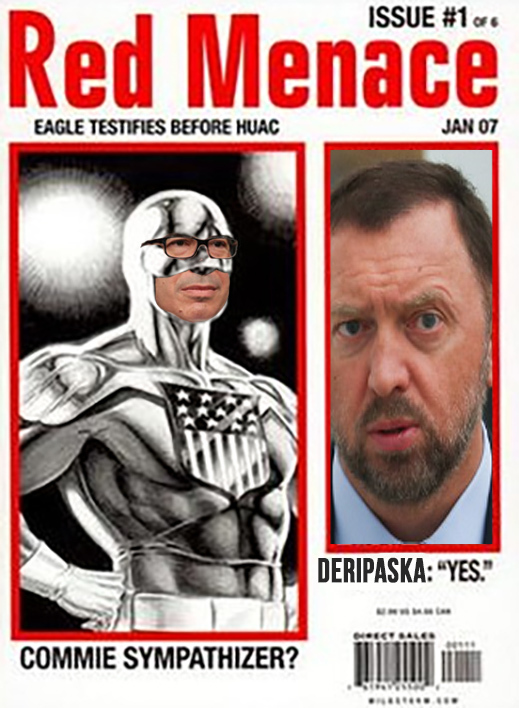 In court, Deripaska is now claiming that the US Government has no evidence of his attempt to murder a “businessman” and other crimes set out by the US Treasury and the Office of Foreign Assets Control (OFAC) in their sanction announcement of last April 6. Read the original Treasury press release here. The murder target isn’t unidentified. But Deripaska and the State Department, Central Intelligence Agency (CIA) and Federal Bureau of Investigation (FBI) all know who it was. The date of the attack was December 29, 2009; the target was me. Investigations by the US, British and Australian Governments at the time also extended to investigations by the Federal Security Service (FSB) and the Moscow city police, and were then documented in police records, as well as hearings in the Moscow city court and appeals court. A Moscow judge ordered local prosecutors to re-open the case after they attempted to close it. State Department officials including Hillary Clinton, then Secretary of State; William Burns, Deputy Secretary of State; Dan Russell, a deputy assistant secretary of state in charge of Russia; and Kyle Scott, the director of State’s Office of Russian Affairs, were all involved in closing the case file. Declassified Australian Government documents revealing a British intelligence intercept have all been published. Left to right: William Burns, now head of the Carnegie Endowment for International Peace; Dan Russell, now Chief Executive of the US-Russia Business Council; Kyle Scott, currently US Ambassador to Serbia. For the details of the story, read the book, just out. Bruce Marks, managing attorney of the Philadelphia and Moscow-based law firm Marks & Sokolov, has had more experience litigating against Deripaska in the US than any other US lawyer. He pioneered the application of the US racketeering statute to pursue compensation for theft of aluminium smelter assets; for details, read this.